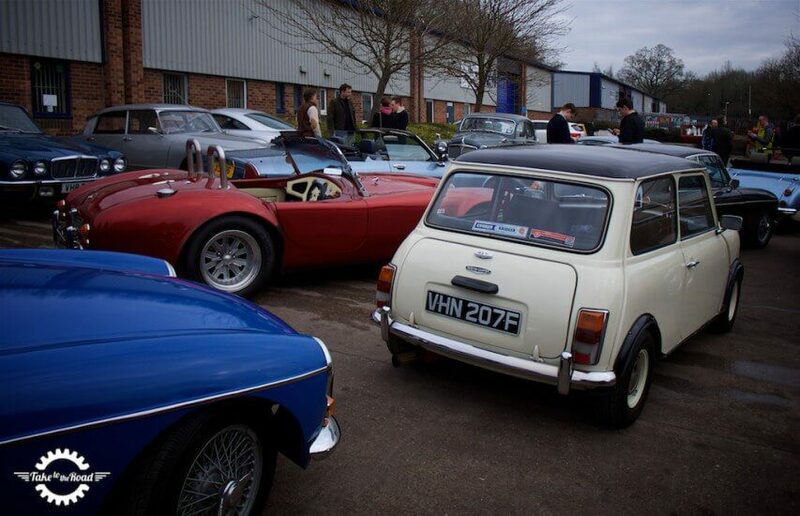 On the 22nd March 2016 Take to the Road took part in the “Break for the Border Road Trip”, a media day event put on by classic car hire company Great Escape Cars. 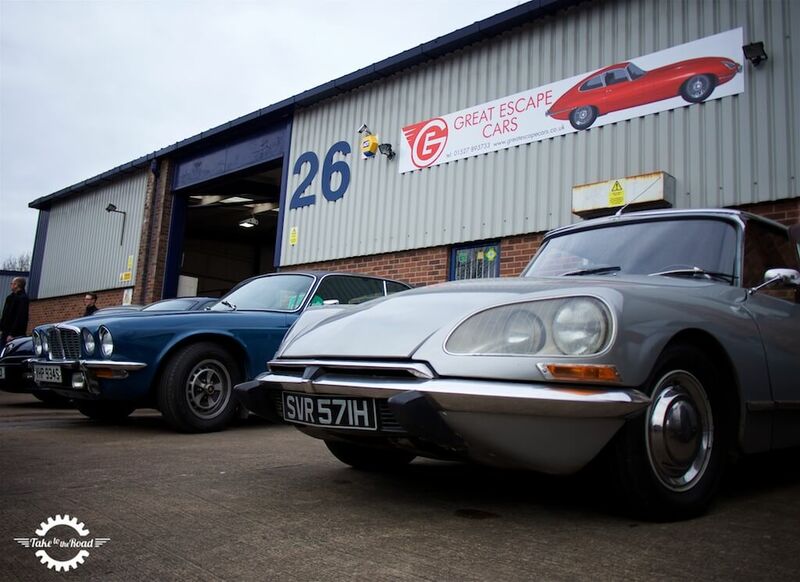 Based in Redditch in Worcestershire, Great Escape Cars offer an impressive range of classics and modern classics for hire. 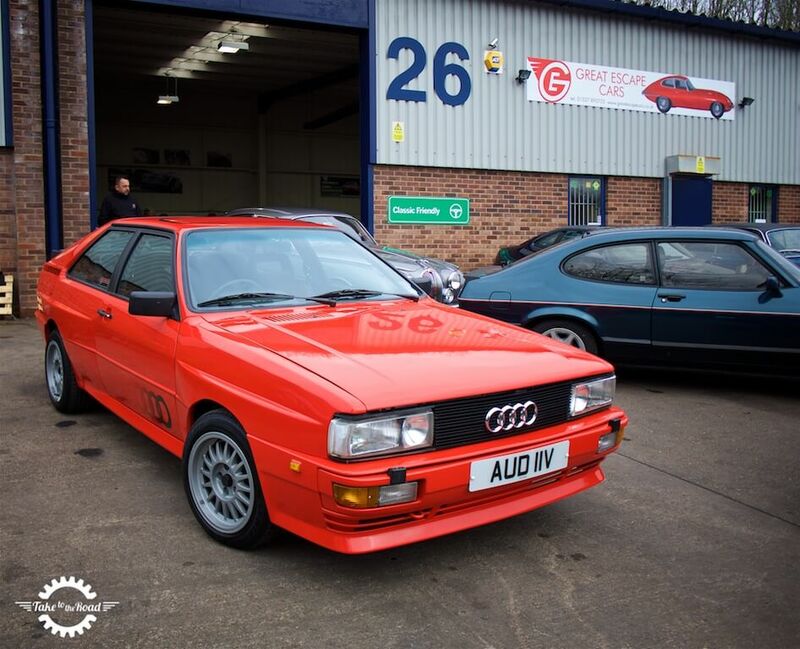 Including an rare Audi UR Quattro! And Take to the Road was there to sample a selection of these over a day long, 180 mile dash from Worcestershire to the Welsh Borders through Shropshire and back again to Redditch. We’d never taken part in a road trip like this before so to say we were excited was an understatement. A total of 24 motoring journalists, bloggers and vloggers descended on Great Escapes headquarters that Tuesday morning to feast their eyes on the 12 cars that we’d all get a chance to drive on the day. After a brief distraction with a complementary coffee and a bacon roll, we all gathered round as company founder Graham Eason introduced us to the cars and the plan for the day. All drivers would team up in pairs for the day and we would all have the chance to drive five cars on the trip, swapping vehicles at 5 stage stop points along the way. An MGB Roadster, Mini Cooper Replica, an AK427 Cobra and an MGB GT were just some of the cars on the trip. The Audi UR Quattro waiting patiently with a Ford Capri Brooklands and Jaguar Mk2 3.4. Each car was well equipped with supplies for the trip. Great Escape Cars founder Graham Eason runs through the stages. Our team mate for the day was Richard Gooding, acting Editor for GreenFleet and owner of the Polo enthusiast website www.PoloDriver.com. 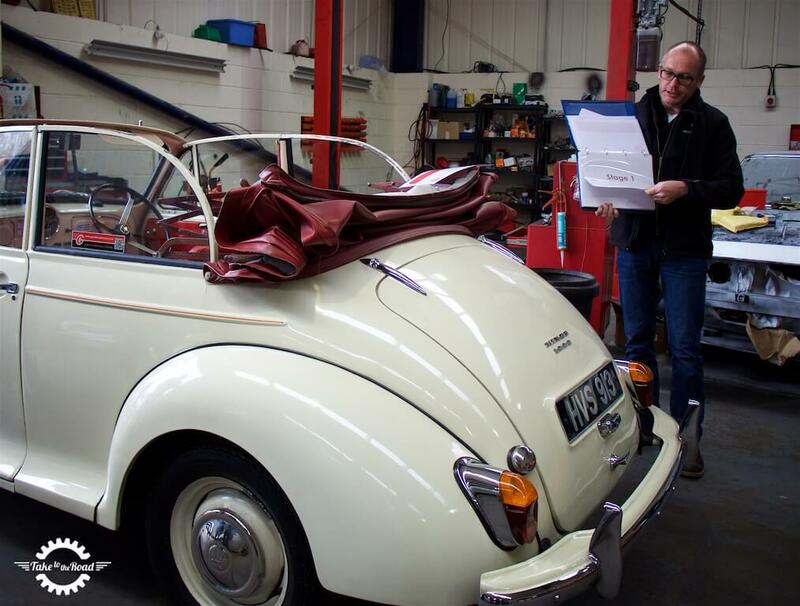 Richard kindly let us pick the first car of the day and as luck would have it, the first set of keys we rummaged out of the Morris Minor hubcap was for the 1984 Audi UR Quattro! Result! Bagged the Quattro on the first go! Result! With all the drivers teamed up and assigned their car keys, everyone jumped in their cars and got ready for Stage 1. As we chatted away while the rest of the cars filtered out of the yard, we both realised we had a shared interest in VWs, Richard owning a VW Polo GTi and ourselves a Golf GTi. 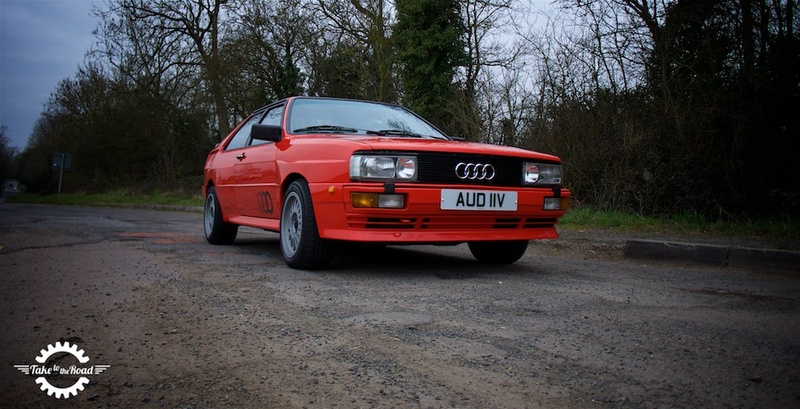 So it was rather appropriate for us to get to drive another VAG special, the Audi Quattro. This UR Quattro was finished in classic Mars Red with grey alloys. Stunning! 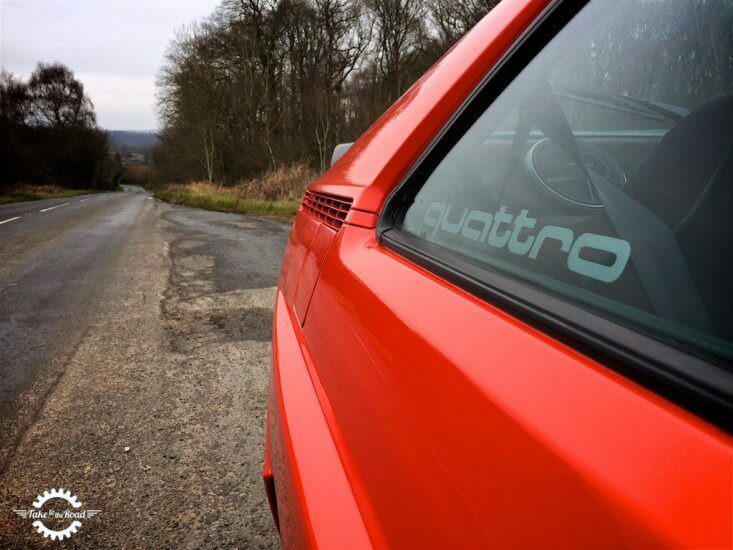 The Audi UR Quattro is one of those classic 1980s motors that for guys like us, was steeped in nostalgia. The UR was legendary on the rally circuit when it debuted in 1980. 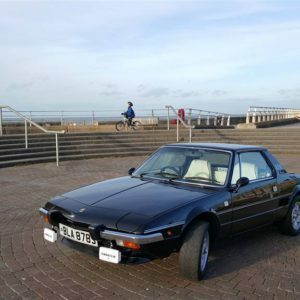 And in recent years the car was made famous by the TV show “Life on Mars” which coined the now equally legendary phrase “Fire up the Quattro”. Yup we had to say it again. 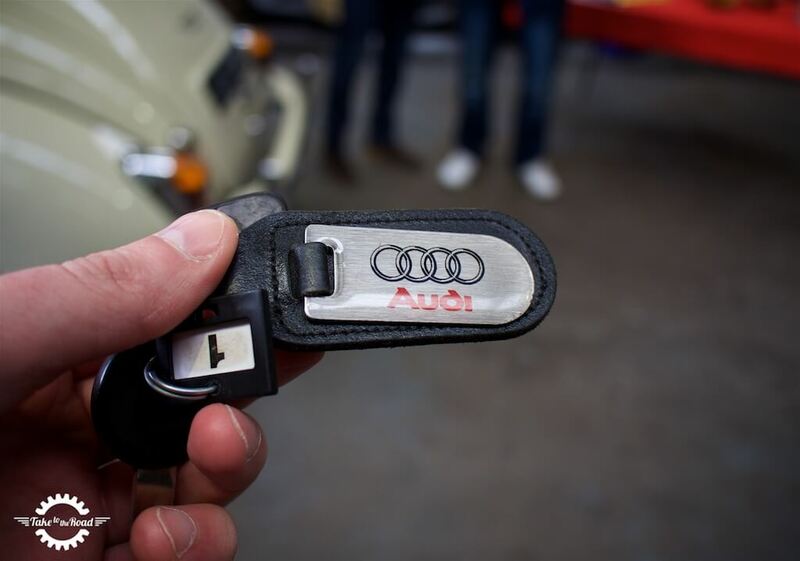 As Richard flicked through the directions folder, we got to grips with the Quattro. It immediately felt solid and as we made our way out of Redditch, we got a sense that we were driving something just a bit little special. The steering was light, the gearbox easy to use with the clutch having that slight heavy feel that most 1980s VAG cars have. Working through the revs and the gears the Quattro felt easy to drive with the turbo whine reminding us that this was no ordinary Audi. Yup this was a fun car for both driver and passenger! We finally got the car out on the open road and this is where we have to make a small apology. 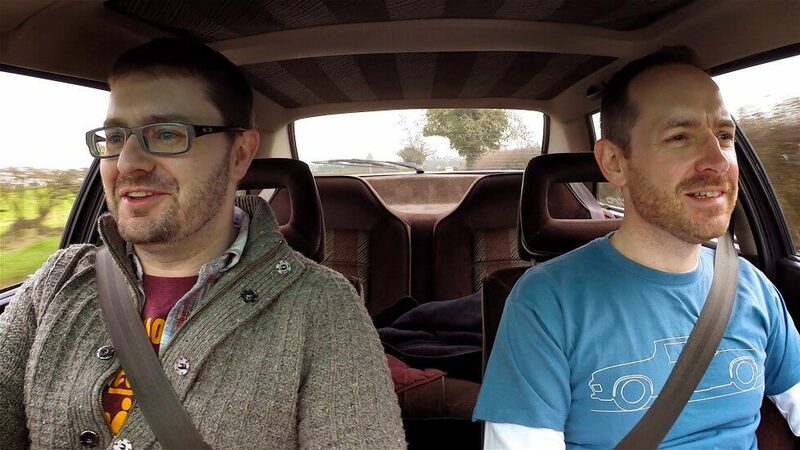 The car was so much fun to drive that for a while we forgot to talk about it in detail on camera. It was that good! 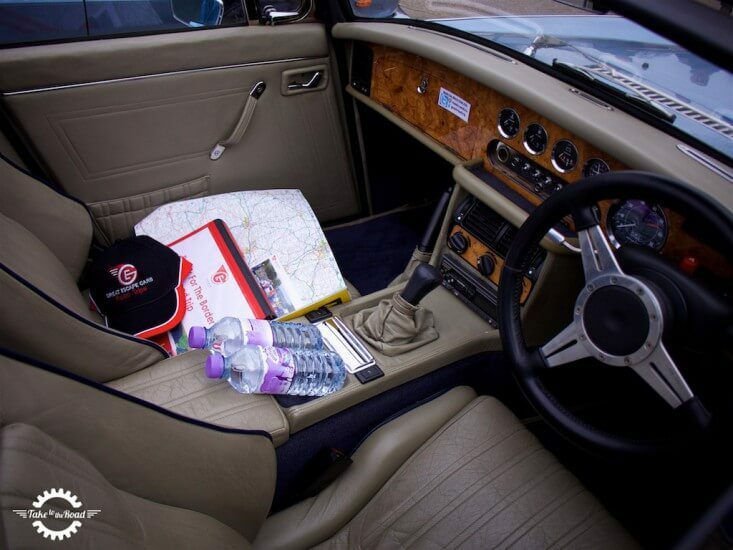 The grip was sensational, the steering light and precise and the engine… well that sounded pretty awesome. The whirr noise from the turbo encouraged us to push the car further and further and thanks to the exceptional grip (and the dry conditions) we were able to attack the corners with confidence. It really was one of those cars that puts a grin on your face, a car that makes you hunt down twisty roads that go on for ever. And for a 1984 Audi, it all felt solid and well put together. The seats were comfortable, we had electric windows and a manual sunroof. There was plenty of room in the back and it had a decent boot. It ticked all the boxes really. Probably one of the best number plates for an Audi! Roughly half way through the run, somewhere near Steens Bridge, we swapped round and Richard got his go in the Quattro. As a passenger the Audi was a fun car to be in and we could tell Richard was enjoying it as much as we were. Both of us agreed it was brilliant and as the first pick on the run, we couldn’t have selected a better drivers car. 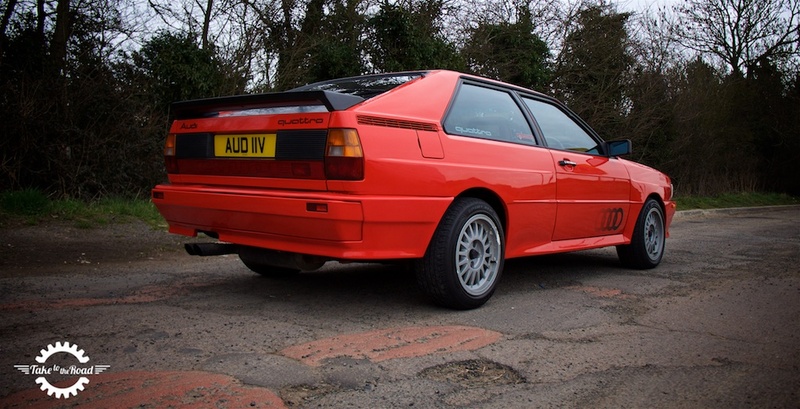 And that is what this Audi UR Quattro is… a proper 1980s drivers car. 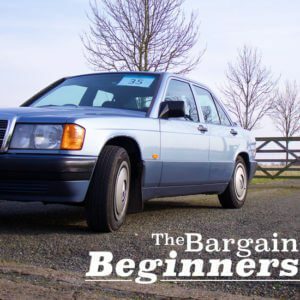 Despite the 200BHP on offer, it was easy to drive and didn’t suffer from the sudden turbo death that 1980s turbo equipped cars were infamous for. We found the boost very manageable when it kicked in around 4,000RPM and we didn’t feel that the turbo lag affected the performance. The five cylinder 2.1ltr motor had enough torque to pull us up all the hills we came across with complete ease. Under hard breaking there was a little wiggle on occasion from the rear but despite that momentary nervousness, it was one of the most planted cars we’d driven. The name that excites many a petrolhead. What a machine! It was so good that when we arrived at the end of Stage 1 on the outskirts of Bromyard, we didn’t really want to hand the keys back. We would later wish we had gotten the Audi UR Quattro later on as we ventured into Wales and took on its hills and valleys. 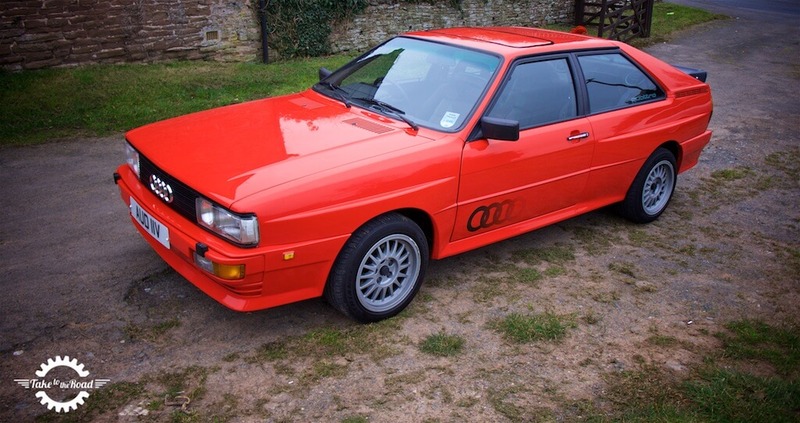 Time to hand back the Quattro at the end of Stage 1… Sad times! Watch Breaking for the Border Part 2.